Well HAPPY BIRTHDAY to me, says I to myself, one week early! There's going to be a whole lot of ramble today because.....I just can't even....I feel like I won the lottery in the finding of this amazing book....and honestly I can't really talk about it at any great length or this post will suddenly have become an ESSAY or a dissertation and that's not what I'm about here. SHEER HAPPENSTANCE, is how I found 'East of the Sun and West of the Moon - Old Tales From the North' on Amazon. I was poking around and seriously, it just appeared. I really think Nordic fairies and tomtes were leading me to this book. 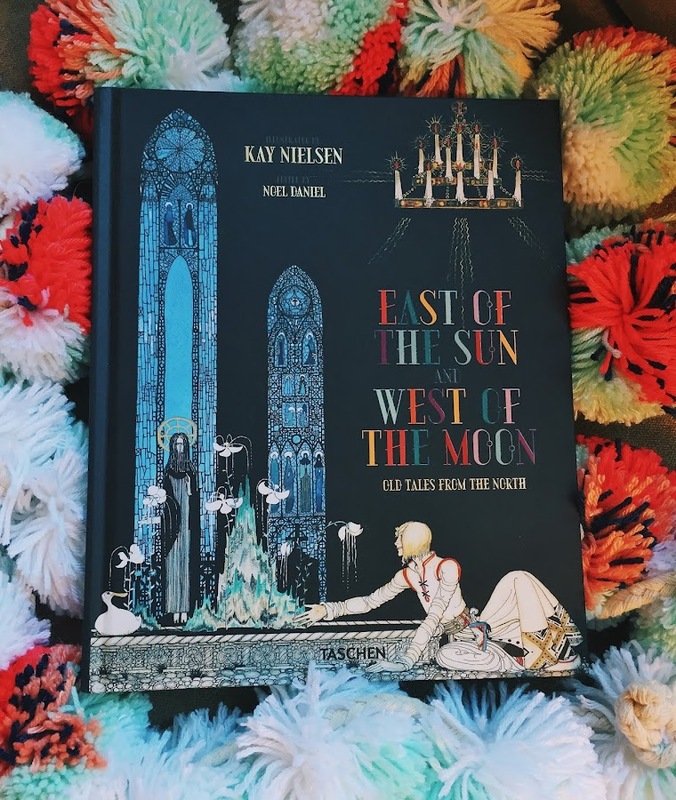 KAY NIELSEN, an art god of some kind, is revered as one of the best of the best of the best, ranked amongst fairy tale art legends like Arthur Rackham and Edmund Dulac -- and I had never heard of him until just recently. I feel like an ignoramus. 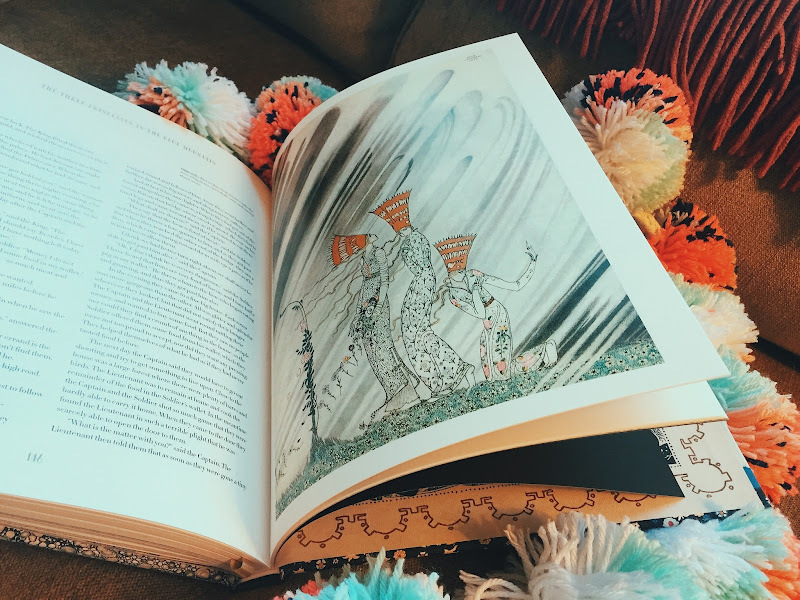 His first illustrated work of fairy tales was published in 1913, and he was heavily influenced by the Art Nouveau and Art Deco periods, as well as his Danish ancestry - his father was a theater director and his mother was a performer, and his first career as an artist was as a set and costume designer. Later in his career, Nielsen worked for Walt Disney and created art for the movies 'Fantasia' and 'Sleeping Beauty', as well as developing concept art for 'The Little Mermaid', which didn't emerge onto the screen until 1989. He was let go from Disney studios, and he eventually faded into obscurity and poverty, finding work as a muralist and a chicken farmer before his death in 1957. In the 1970's, his work became noticed once more, and Nielsen's modern aesthetic and highly original style became heralded as genius from the golden age of illustration. 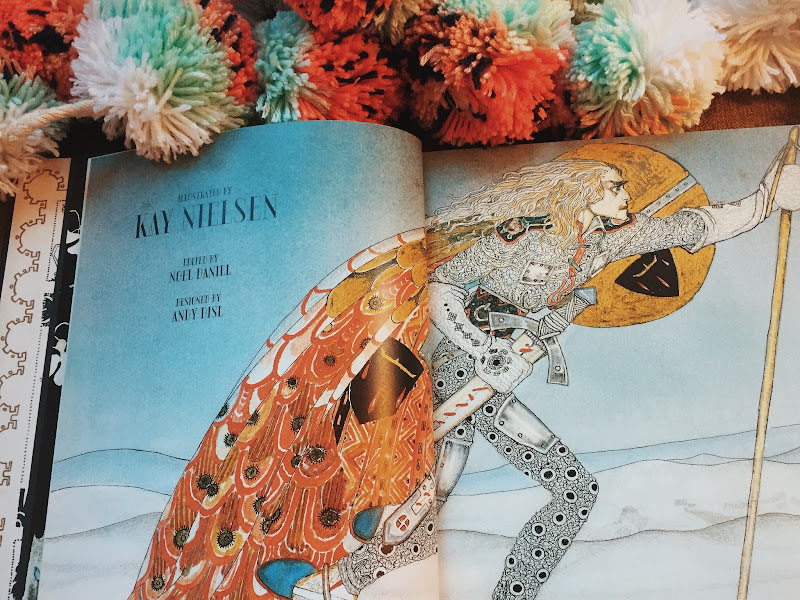 To sum up - Kay Nielsen = some kind of wizard. 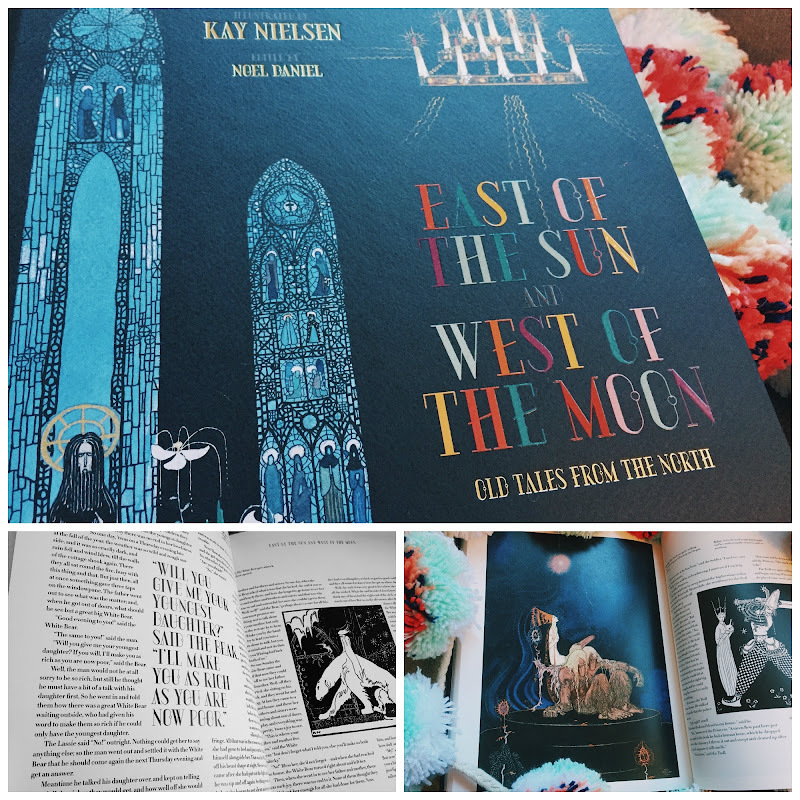 Apparently when his version of 'East of the Sun, West of the Moon' was first published, it was immediately hailed as a masterpiece. So that was the cliff notes excerpt of this post - let's chat about the book. What's amazing is that it arrived in a special cardboard case. 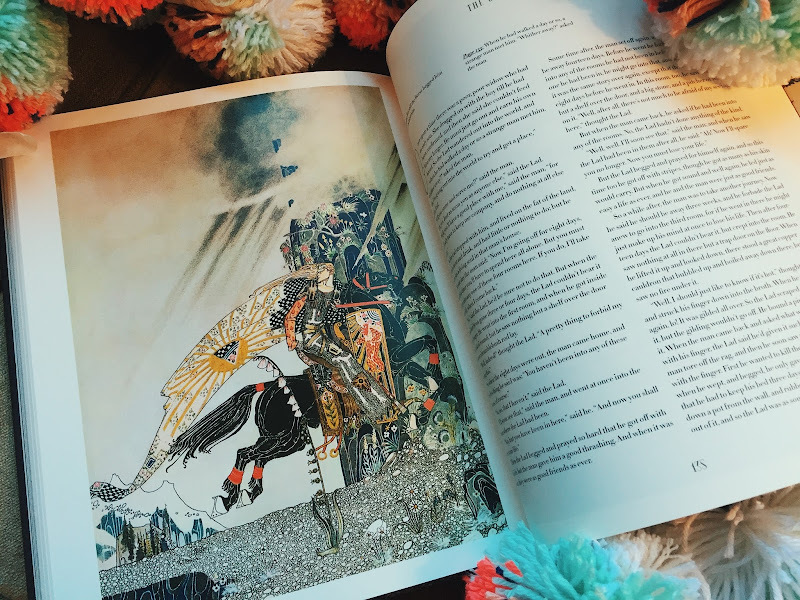 It has an entire section about Kay Nielsen's work, and an entire section about Norse fairy tales. The TABLE OF CONTENTS has its own beautifully illustrated page. 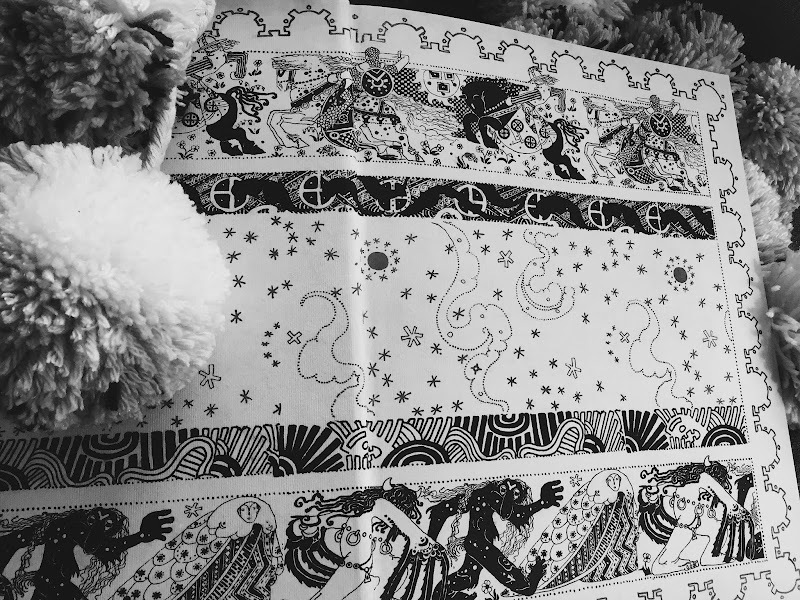 The END PAPERS (see above) look like wallpaper from a Scandinavian castle - it's rendered in black and gold, and it's incredible. The fairy tales themselves are densely written and not meant for 5 year olds. I wouldn't even think of cracking this open for anyone under the age of 8. 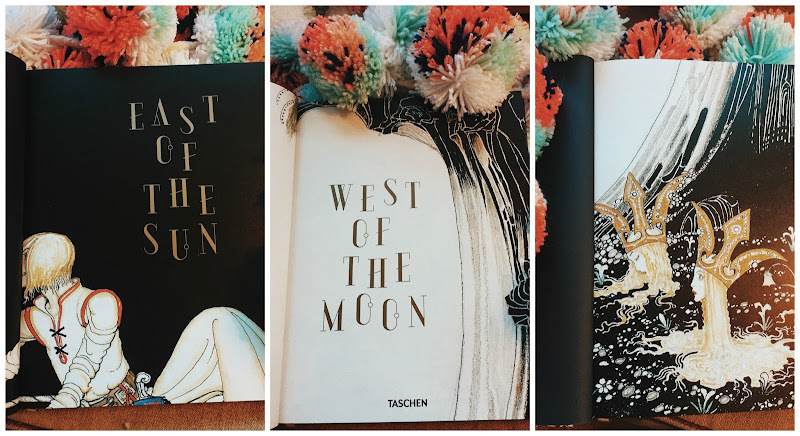 There's a ton of stories, including 'East of the Sun, West of the Moon' (MY FAVORITE FAIRY TALE), 'The Three Princesses in the Blue Mountain', 'The Lad Who Went to The North Wind', 'The Blue Belt', 'The Giant with No Heart in His Body' (LOVE that story! ), and lots of others that I had never heard of before. One of the things I find most striking about Kay's art is how....it's almost Japanese looking, don't you think? There's another section of the book that discusses how shortly after the turn of the century, artwork in picturebooks became as important, or more so, than the the literary content - at a certain point, these types of fairytale books and the art created for them became too valuable to be given to children - they were given as gifts passed between adults, and the artists had their works shown in galleries after the books were published. I would have paid between $80 and $100 for this collection of stories and art. And I bought it for $26. This new edition was just released in December 2015, and I was stupefied at the price. Andrew was so impressed by the art, he started researching, and found out that Nielsen's work has passed into the public domain, which means no trusts or estates or heirs to be paid royalties. That price is stupid crazy insane. I'm not putting this treasure on a bookshelf. It's going to be out, on my front table, where I can look through it all the time! 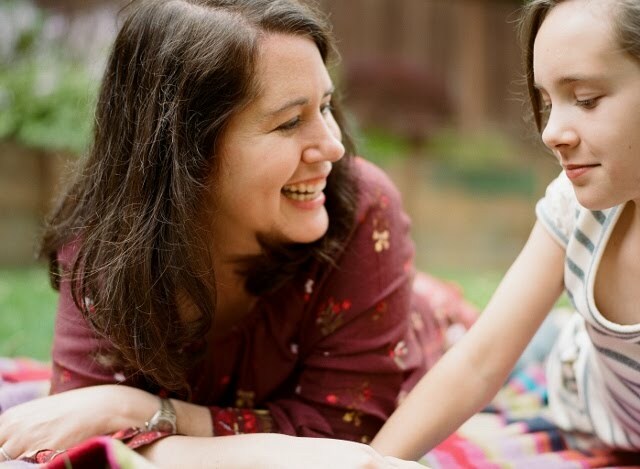 Julia and I will read any of the stories she wants to read. I wish you could have seen me opening this up when it came in the mail. I was FLOORED when I saw it, absolutely stunned into silence, for once. 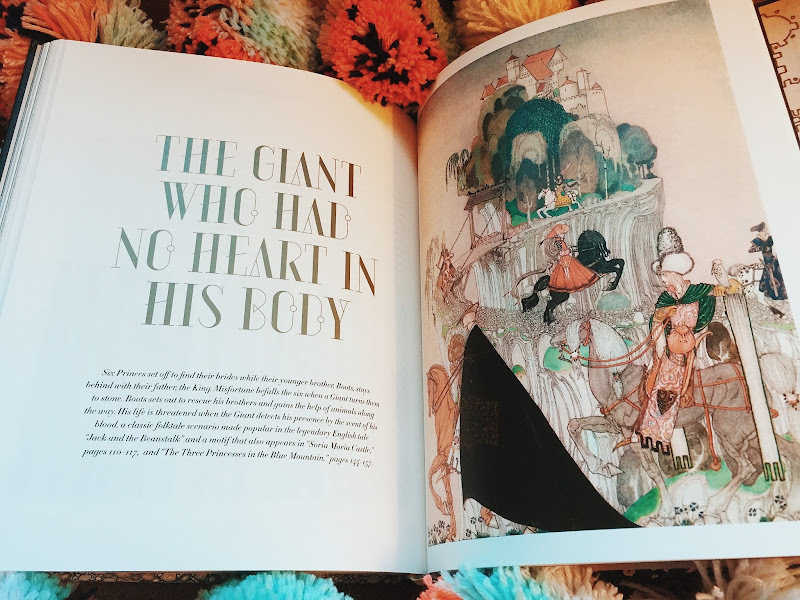 If you're a book lover and collector, especially of fairy tales.....you're just going to LOSE YOUR MIND when you get this in your hands. The publishers of this magical collection are getting such a mental high five from me right now. The BACK of the book has an amazing illustration on it. I think it's the most beautiful book I've ever seen, and I've seen a lot of books. Oh my goodness, this looks SO amazing! I'm always looking for mature and unusual fairy tales to read to my oldest. And I have never heard of this illustrator either (fellow ignoramus!). Thank you, thank you! OH, I'm telling you! I was actually on Amazon looking up the book A Treasury of Wintertime Tales, which I also really want to own, (Danzel from Silver Shoes and Rabbit Holes just featured it!) and I saw this book suggested to me at the bottom of the Amazon page - so I clicked on it and started gasping What IS this?? And I hit click order about 10 seconds later. It's INCREDIBLE, this book. Incredible! Stunning. Looking it up now. I couldn't show the entire book! There's so much more I couldn't fit in! Incredible. I keep saying that over and over lol. This is indeed, insane! So glad you discovered it and shared with us -- I must own! You, you, you, must OWN this one. You'll love it, my friend! Send me a note when you get it!!! I want to hear about the gasps of amazement! Swoon!!! So gorgeous! There is no better feeling than finding a perfect book, so hooray for you! Thanks Bethaney!! 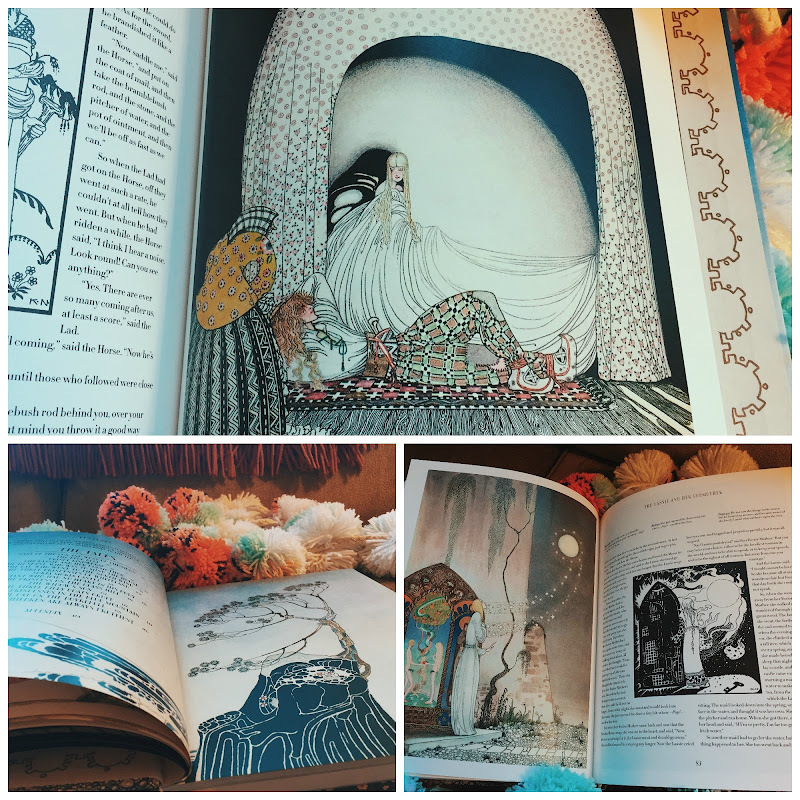 The fairytale books in my collection are really special to me. I collect them for myself, not really for Julia, who is not as rabid a fairytale fanatic as I am. This one is going to bring me great joy! When you mentioned Kay Nielsen I had this "wait a minute....how do I know that name?" moment. 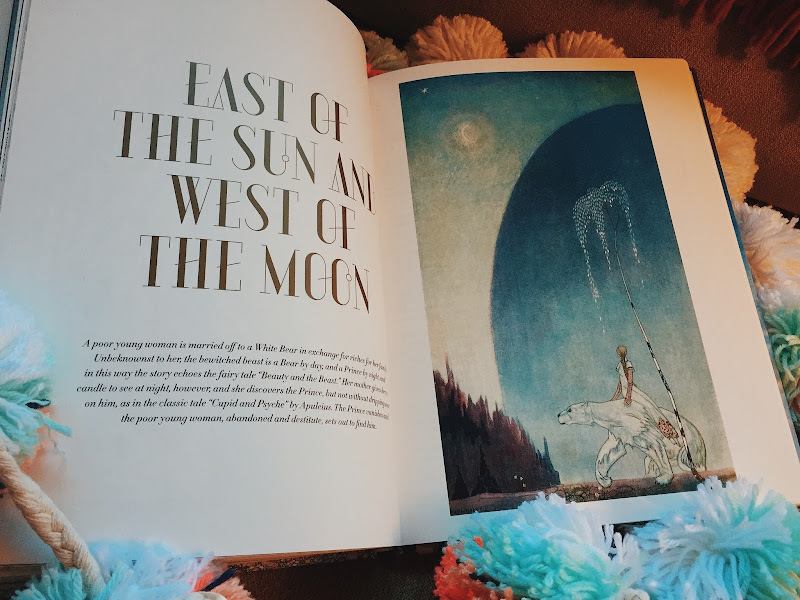 I went flying to my bookshelf and discovered that I had indeed purchased a 1976 version of "East of the Sun" with at least some of the original art and end papers. I'll put a link to the book at the bottom since I'm not techie enough to make it look pretty here. Anyway, I got it when our library sold off a lot of old books out of their basement, and I am realizing how awesome the TWENTY-FIVE CENT price tag was. WOW Dana, WOW that you have that!!! OMG!! Seriously what a treasure!! And twenty five cents beats my twenty five dollars ha ha ha. Seriously, it's INSANE that his work can be had for such a price. Awesome for us, I guess, and gets his work into more hands, but INSANE. I think my heart is still racing because I had no idea what I actually owned! Thanks for making me aware of the awesomeness. It makes me sad though, to think of the library getting rid of treasures like that, just because they don't get checked out very often. I love Kay Nielsen! (Pronounced "Ky," did you know? Because I didn't know for years.) I love the Golden Age illustrators. 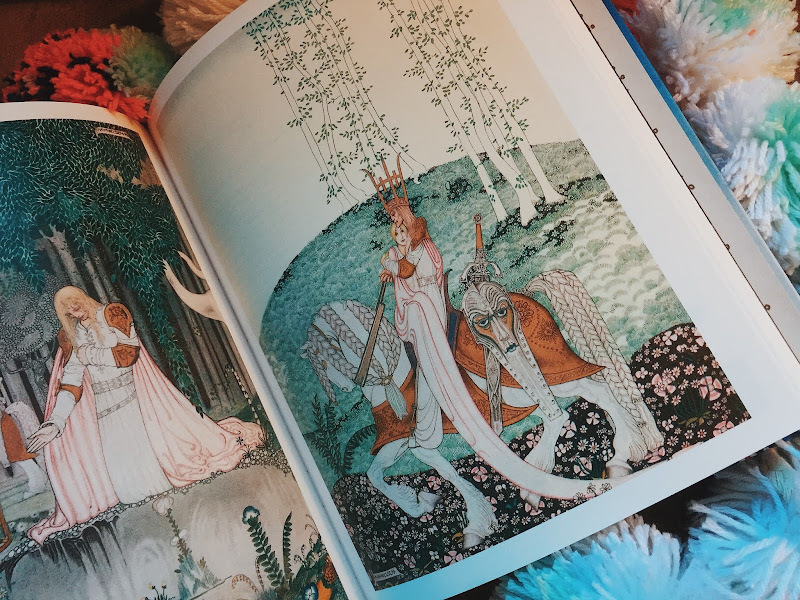 Taschen used some of his illustrations in their big gorgeous fairy tale compilations. And... I see this one is published by Taschen! I even recognize the editor's name. ;) It's nice to see a new well-made book available again! Adding to my wish list. 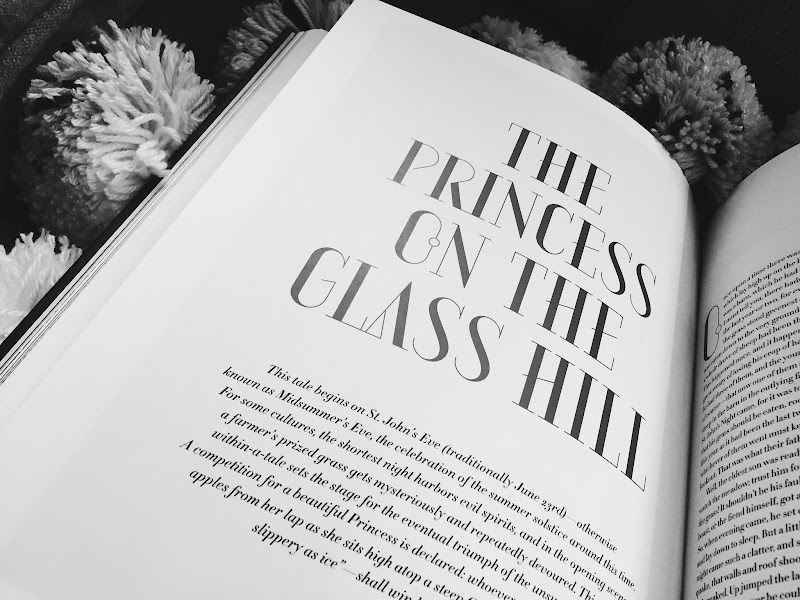 my wish list just grew a book! Wow, sooo beautiful! Already on my Amazon wishlist!! Thank you for sharing so many wonderful books!! totally my pleasure Lola! it's an amazing treasure! !